In this troubled world of the field recordings is always great to get a breath of fresh air. We are constantly defining the genre or even discussing if it is a genre by itself. 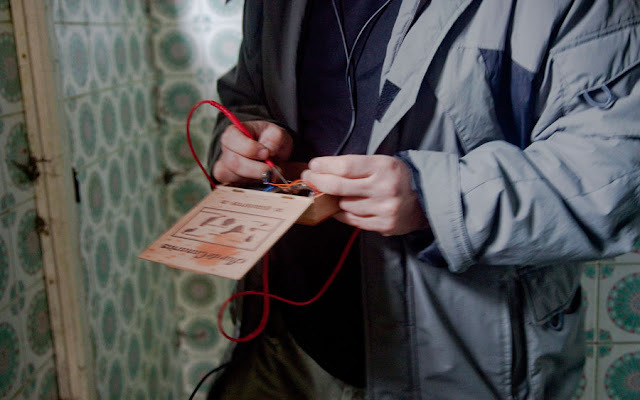 Since the democratisation of the technological aspect of field recordings things have got more and more uptight and perilous. Now a days, you cannot cough without a wake of opinions behind it. So, being aware of the current situation and the abrupt irruption of field recordings in the “market”, the new album by Atilio Doreste, is in my humble opinion, a breath of fresh air. I’m completely unsure about the originality of the work but I’m certain that in the Spanish context it is a very interesting breakthrough. 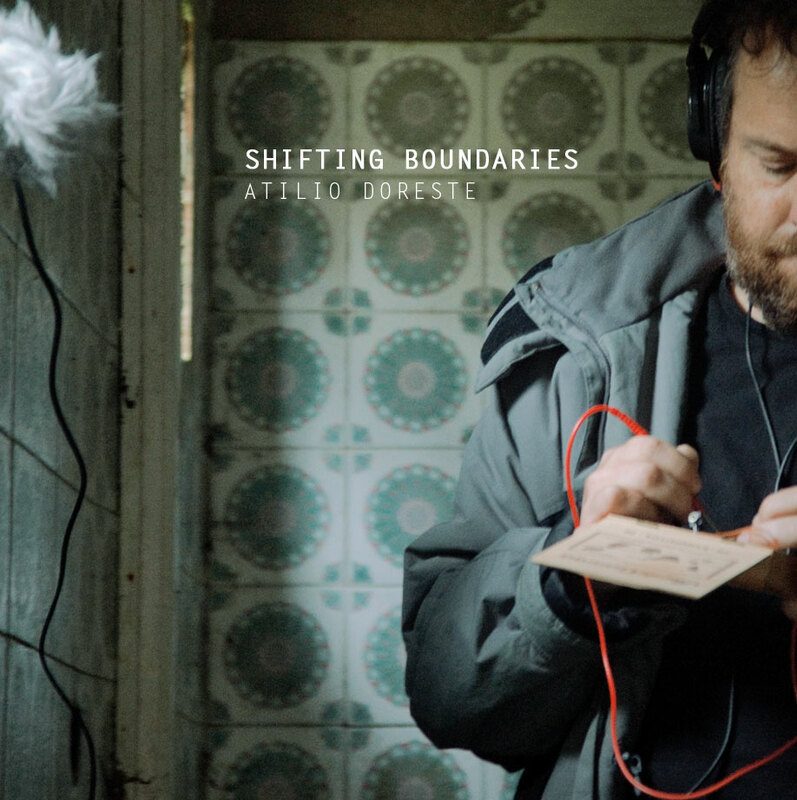 “Shifting Boundaries” explores the possibility of another way to understand field recordings as a canvas or a creational or inspirational environment that can alter our creative and sonic process of work. The album has been conceived as a series of fragments recorded live in various locations. In each location Doreste performed live a series of improvisations using small battery-powered circuit bended instruments and radios. Through an improvisational approach, Doreste performs accordingly to what he sees and hears. His intervention activates acoustically the spaces, while the very environment alters the way we listen to the sonorities of the circuit bended tools. 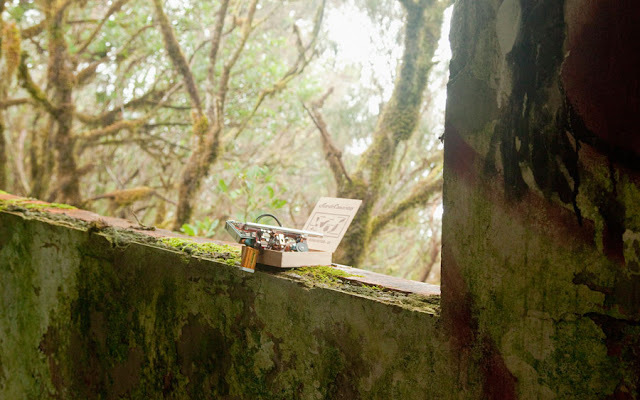 Both elements, the environment and the circuit bending blend together forming a very short but consistent compositions in which, movement, noise and the surroundings are playing a strange and uncanny composition that alters the way we understand field recordings and the core idea of what Rocha Iturbide names electroacoustic soundscape. Doreste pulls aside all the canonic ideas about not altering the soundscape and embraces a far more interesting field that blurs the limits of what we understand as field recordings and our capability of using them as a canvas or a creational framework. Apart from the obvious, Doreste is also talking about a lived experience and a site-specific way to understand free improvisation. 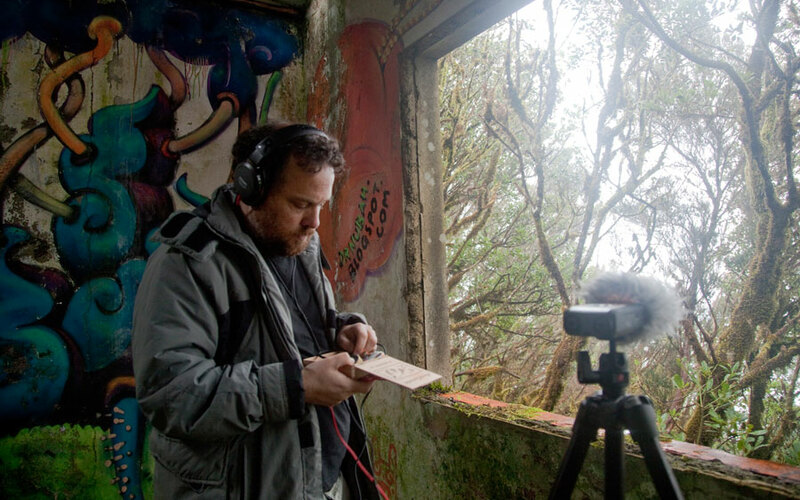 The author is confronting the idea of field recordings as documentation. Being aware of the site-specificity, the author is giving the same power or relevance to the recording and what its being recorded. Microphones are instruments, so as the soundscape, the environment, the acoustics of the space and all those radios, five elements shifting boundaries, blurring limits and making this world of field recordings a bit more fun. Last year two of my favorite field recordings were by the Canarian Atilio Doreste. The first recording I came across was Dog In The Cave on the netlabel Green Field Recordings. This fine album examines how human noise flows through various settings. The other release was Radio Chaos and Nature on the netlabel Post-Global. This album listens to nature but with the improvised sound of radio waves injecting themselves on the soundscape. Radio Chaos and Nature is much more in spirit with the Dorester´s latest release Shifting Boundaries on the Audiotalaia netlabel. 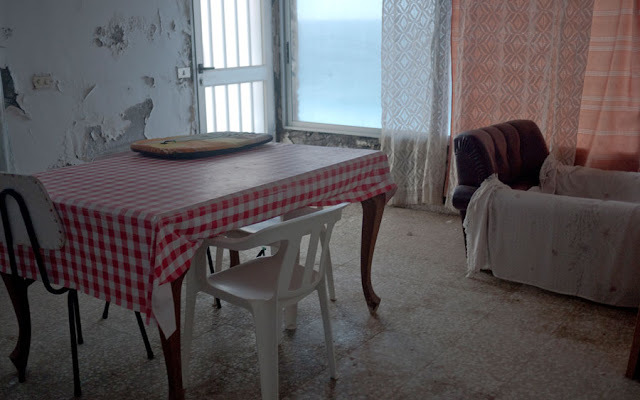 Shifting Boundaries is an improvised work rather than a strict field recording project. 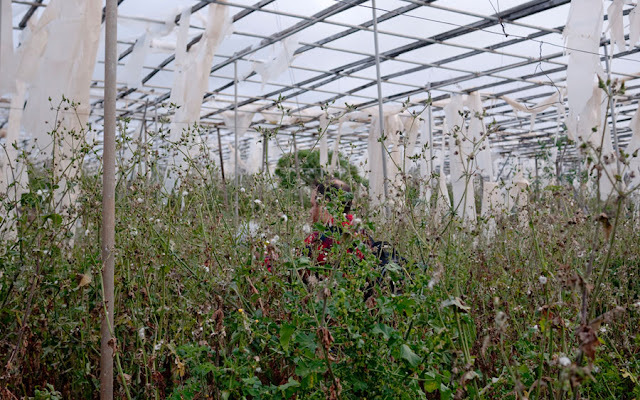 Using both natural landscape and radio waves, Doreste imposes improvised electronic sounds into the mix. This album paints a aural canvas that could be considered a field recording as easily as it could be considered as experimental electronic music. If you enjoy any of these releases, you should check out Doreste´s website for several other works that are not mentioned in this post. 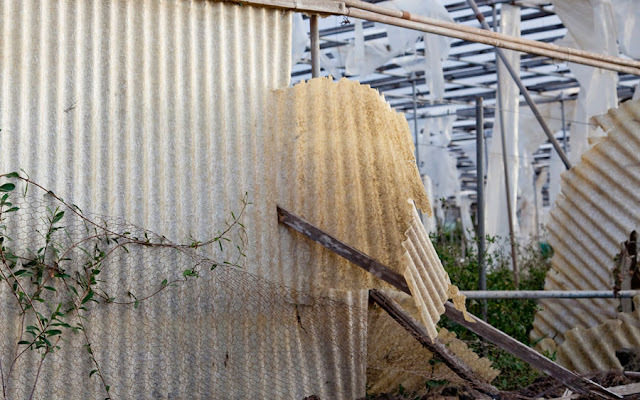 It is well worth your time to check out Shifting Boundaries as well as Doreste´s other work. David Nemeth. Acts of Silence. Recorded, produced and arranged by Atilio Doreste in 2014. Shifting Boundaries by Atilio Doreste is licensed under a Creative Commons Reconocimiento-NoComercial-CompartirIgual 4.0 Internacional License. Creado a partir de la obra en https://archive.org/details/at072AtilioDoreste.